Artwork of a Beach Koopa chasing its shell, from Super Mario 3D World. A Beach Koopa, originally known as Koopa without a Shell, is a Koopa Troopa that has lost its shell and wears nothing more than an undershirt (and/or in some cases, boxer shorts), first appearing in Super Mario World. 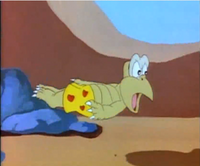 In their original appearance, Beach Koopas appear small and hunched over, but were later depicted as being able to walk around like normal, shell-wearing Koopa Troopas. In the Mario platformers, when a Beach Koopa finds a shell, it reverts to a normal Koopa Troopa. While technically not shell-less Koopas, in the original arcade version of Mario Bros., if the Shellcreepers are left alone, not attacked, while they are upside down, they will pop out from their shells to flip back their shells. When this happens, they highly resemble shell-less Koopas, wearing a white shirt and shorts. A Koopa without a Shell from Super Mario World. Sprites of Koopas without Shells from Super Mario World. When first knocked out of its shell, the Koopa is extremely vulnerable. If given enough time, it will right itself and pace forwards in search of a new shell. They act very similarly to their shelled counterparts. Green ones fall off cliffs, Red ones and the slightly faster Blue ones try to avoid falling, while the Yellow ones act like a quicker Green one, but will also follow Mario or Luigi. Green and Red Koopas without Shells will become the color of the shell they enter. If the shell is upside-down, they will kick it right-up before entering. Yellow Koopas without Shells will attempt to jump into any nearby shell; this also allows them to dodge shells thrown at them. Once a Yellow Koopa without a Shell enters a shell, it will become a Kamikaze Koopa: the shell will flash rainbow colors and spin around after Mario. Blue Koopas without Shells are visually distinctive with their muscular body, as well as shocked expression upon being removed from their shells, and will kick any shell they come into contact with even if it is moving; they will also kick disabled Goombas, Bob-ombs, flashing Grab Blocks, and Buzzy Beetle shells in their way. Blue ones are also capable of sliding against Mario. If two Koopas without Shells enter the same shell simultaneously, they will become only one Koopa Troopa. Any Super Koopa who wields a flashing cape will revert into a Koopa without a Shell after being stomped on and relinquishing its Cape Feather. Its artwork appears as a stamp in Super Mario 3D World. The technical reason for the small, hunched-over appearance is so the "sliding out" graphics have the same hitbox parameters as the walking sprites, as each sprite for each individual object in Super Mario World must use the same hitbox. In Super Mario 64 and Super Mario 64 DS, Mario or others can attack a Koopa Troopa to knock its shell away, transforming the Koopa into a Beach Koopa. If attacked again, the Beach Koopa would be destroyed and a Blue Coin would pop out. If not defeated, the Beach Koopa will frantically attempt to dive back into its shell even if Mario is riding it, sometimes killing itself. If the Beach Koopa is seen again after the shell is destroyed, he will still act as if he never lost his shell. In Super Mario Sunshine, blue Electro-Koopas throw their shell at Mario and effectively become Beach Koopas temporarily. If Mario manages to jump on the Electro-Koopa or squirt it with water, so it is electrified by its own shell, it will be defeated. These Koopas have pink boxer shorts. A Beach Koopa chases Mario trying to get his shell back in Super Mario 3D World. After more than six years of absence, Beach Koopas reappear in Super Mario 3D World. Unlike other games, they share the same behavior as regular Koopa Troopas in the game, except they have an angry look. If the player keeps them away from their shells long enough or throws them away, they'll become sad and briefly stop chasing the player. Beach Koopas reappear in Super Mario Maker and Super Mario Maker for Nintendo 3DS, only in the Super Mario World style when a Koopa Troopa is jumped on. Koopa without a Shell flying through the air. Only appearing in the Super Mario World episode "Fire Sale", the silent, Koopa Troopa henchman of Kootie Pie Koopa is continually knocked out of his shell, becoming a Koopa without a Shell, in the episode, usually during one of Kootie Pie's violent temper-tantrums. 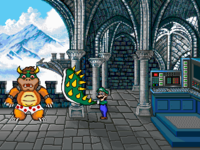 Bowser as a Koopa without a Shell in the PC version of Mario is Missing!. Although normal Koopas without Shells do not appear in the MS-DOS version of Mario is Missing!, the ending features Luigi removing Bowser's shell. When he does so, Bowser is shown to be wearing polka-dotted boxer shorts, similar to a Koopa without a Shell. In the NES version, a normal Koopa without a Shell appears after the small Bowser's defeat. Beach Koopas are also found in Super Mario World 2: Yoshi's Island, Yoshi's Island: Super Mario Advance 3 and Yoshi's Island DS, although here, they walk upright when evicted from their shells, instead of becoming small and hunched over, as in Super Mario World. This is due to them not ever sliding, meaning they can have the same hitbox as an ordinary Koopa Troopa. In these games, they are shirtless and wear colored shorts, likely inspiring their name. Beach Koopas make a brief appearance in Paper Mario, appearing in Koopa Village after the Fuzzies stole the local Koopa Troopas' shells. This fate also befalls Kooper, though Mario eventually returns his shell to him. Beach Koopas reappear in Super Princess Peach, appearing as they do in the Yoshi sidescrollers. 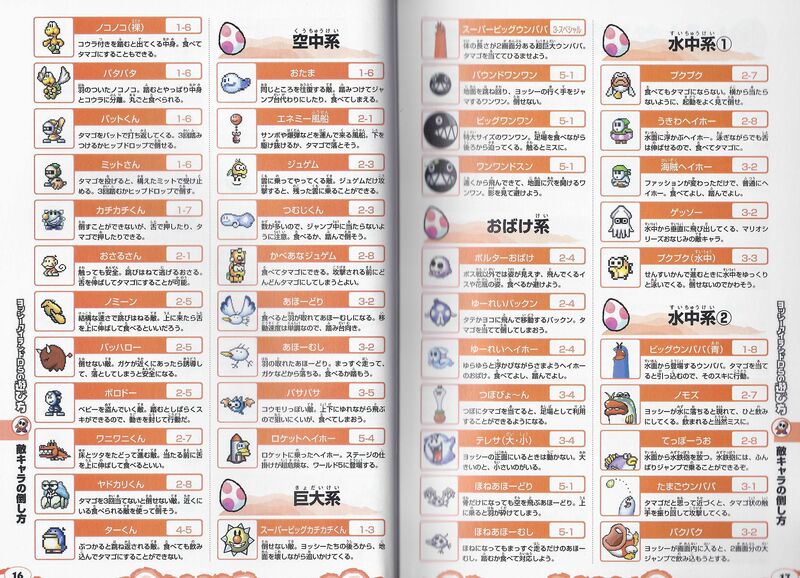 Like Blindfold Boos, blue Podoboos, and Security Thwomps, they do not appear in the in-game glossary. In Super Smash Bros. Brawl, a Beach Koopa briefly appears in the Subspace Emissary cut scene when Donkey Kong smashes a Koopa Troopa's shell with his fist, leaving a Beach Koopa. However, it is near impossible to see since it is only shown for half a second and it is very dark. A Beach Koopa chasing his shell in Mario & Luigi: Paper Jam. Beach Koopas also appear in Mario & Luigi: Paper Jam. 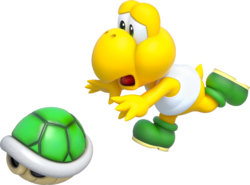 If the player blocks a Koopa Troopa's shell attack, it will get knocked out of its shell. ↑ The Super Mario World 2: Yoshi's Island Player's Guide. Page 126. ↑ Nintendo Mario Mania Player's Guide. Page 50. 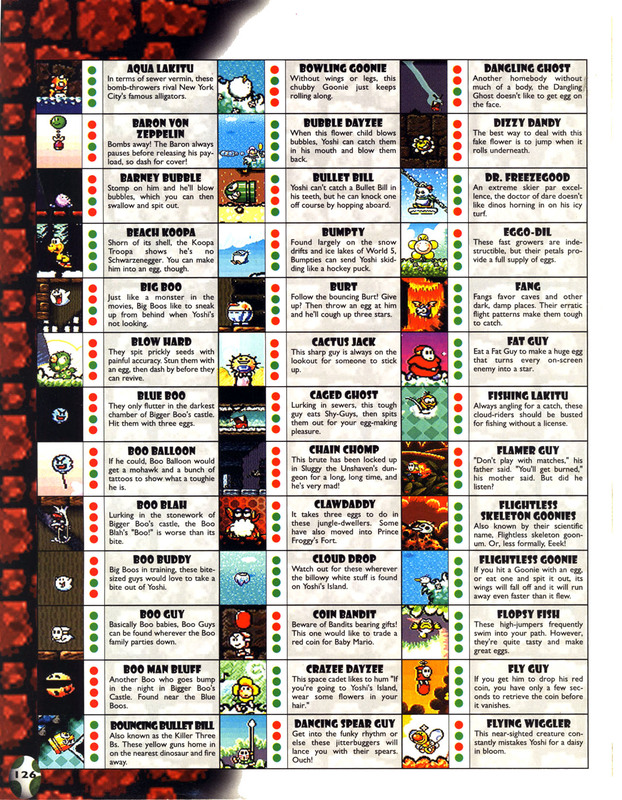 ↑ Yoshi's Island DS Nintendo Dream Book, page 16. ↑ Shogakukan. 2015. Super Mario Bros. Hyakka: Nintendo Kōshiki Guidebook, Super Mario World section, page 55.